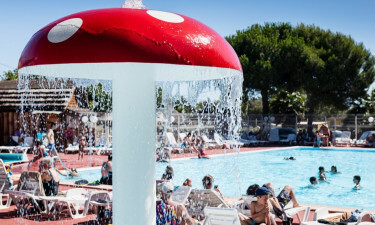 Situated in Sérignan in the Languedoc-Roussillon region in France, La Maïre is more than just a standard campsite. With so much to offer in terms of facilities, amenities and activities, a holiday to this fabulous luxury camping site comes highly recommended. For your next camping holiday, book a mobile home with LUX-camp and make the most of the great outdoors. All plots are well-shaded and feature a garden patio with furniture. Furthermore, all accommodations come fully-equipped with comfortable bedrooms, spacious bathrooms and kitchenettes kitted out with modern appliances. There is no doubt that visitors will greatly enjoy this wonderful resort and many campers return year after year. Why camp at La Maïre? 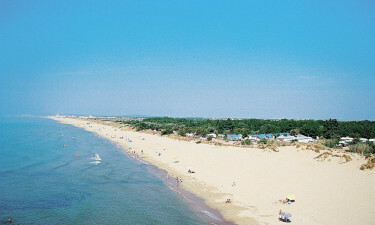 La Maïre is located right on the coast where visitors can take advantage of the close proximity to the beach. Stretching for miles and only 600m from the campsite, the beach offers all kinds of activities from sailing, surfing and diving to jet-skiing and angling and is a wonderful place to spend days out with the entire family. Nestled amongst acres upon acres of unspoilt natural landscapes, campers can hire bikes from within the resort to go and explore the surrounding countryside. Every member of the family will be spoilt for choice when it comes to the facilities offered at La Maïre. Sports activities include tennis, mini-golf, volleyball and horse-riding and bikes can be hired for a day out exploring the glorious surroundings. For the adults, there are thermal baths and a sauna for a spot of relaxation and there are aquagym sessions available in the main pool. The pool itself features a waterslide for added enjoyment and there is also a small paddling pool with a waterfall feature for the toddlers to splash about in. Parents can soak up the sun in the deckchairs that surround the pool whilst watching the children play. There is something for everyone to enjoy in this luxury camping resort. The younger children can be kept busy with the mini-club that runs throughout the peak season and teenagers will find plenty to do with the sports competitions and tournaments that are organised by the animation team. In the evening, the whole family can join in with the fun and frolics and enjoy cabaret shows, theme nights and competitions. 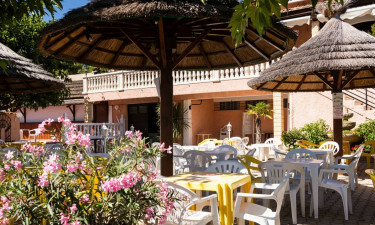 With a restaurant on-site and snack food outlets such as a pizzeria and a take-away service that operate throughout the peak season, there are many different options when it comes to eating out. There is also a bar where campers can go to enjoy fantastic evening entertainment. The small town of Sérignan is within easy walking distance and boasts a decent selection of restaurants and cafes. Fresh bread is always available within the grounds of this campsite and there is a small grocery store selling fresh fruit and vegetables, local and international newspapers and other camping necessities.